For Gerard Manley Hopkins there was Heaven-haven, when a nun takes the veil, and perhaps a poet-priest seeks refuge, but for Philip Larkin there is no heaven. There is Hull, and that is where Larkin, largely free of metropolitan London’s seductions, finds his poetry and his poetics. Old chum Kingsley, it seems, can do his living for him there. But Larkin has more than two strings to his bow too, which awkward last meetings around the death bed show only too plainly. Now that the usual attempts at deconstruction have almost run their course, the time has come to look at the work left. Pulling people off their plinth is a lifetime task for some who never get around to understanding that some writers say more, and more memorably, than they can ever do. Also, they don’t seem to understand that writers are just like everyone else, only with the inexplicable gift, which the said writer understands least of all, knowing that the gift, bestowed by the Muse, can depart in high dudgeon without notice. Larkin knew this, and lamented the silences of his later years. Silence does seem to wait through his poems. They bleakly open to morning light, discover the world’s apparent heartlessness, then close with a dying fall. Occasionally ‘long lion days’ blaze, but the usual note is meditative, and sometimes grubby. What mum and dad do to you has to be lived out in extenso. Diary entries are too terrible to be seen and must be shredded. Bonfires and shreddings have a noble tradition in the history of literature. What would we have done if we had Byron’s memoirs and we were Murray and the fireplace waited? Strange harmonies of contrasts are the usual thing in art. 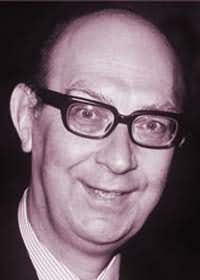 So if Larkin proclaimed racist sentiments in letters yet spent a lifetime in awe of jazz greats, or ran an effective university library whilst thinking ‘Beyond all this, the wish to be alone’ (‘Wants’), that is the doubleness we are all prone to. For artists there always seems to be the finger pointing, whereby perfection is expected of the artist but never required by the critic. Larkin is seen as squalid, not modern, provincial, by some. For others there are no problems. He says what they feel, and says it plainly. 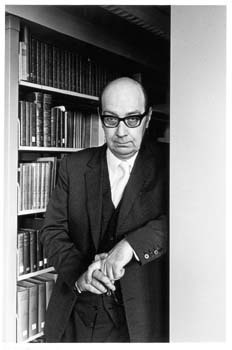 If Larkin doesn’t have a mind like Emily Dickinson’s—who does—or scorns the Europeans, these are not, in themselves, things that limit the reach of his poetic. Larkin’s modest Collected Poems stands in distinct contrast to silverfish-squashing tomes groaning with overwriting. Larkin is a little like Roethke in that way. Every poem is precise, musical, clear. How infuriating it is that people do not follow artists’ wishes and publish poems never meant to see the light of day. There is a great virtue in Larkin’s kind of selectivity. Capitalism seems to require overproduction of product, and many poets have been happy to oblige. But this surfeit does the poet no long-term favours and usually ensures a partial, or total, oblivion. Tennyson and Wordsworth are great poets who clearly have survived oblivion, but who now reads through all of ‘Idylls of the King’ or ‘The Prelude’. Larkin’s version of pastoral has its rubbish and cancer, sometimes its beautiful, clear light, its faltering perception of bliss, usually in others. Doubts about the whole poetic project surface occasionally, and what poet doesn’t empathise with that. How easy jazz improvisation seems in comparison to getting poems out and about. No doubt the improvisation comes only after mastery, control. Then comes the apparently spontaneous letting go. But the poet doesn’t see that. He/she is left with the rough bagging of words to get the music through. Larkin’s music is sedate, in the minor key. Wonder amongst daffodils or joy amongst skylarks are pleasures that always seem just over the hill, or flowing round a bend in the Humber as one gets to the embankment. Street lights seem like talismans of death, obelisks marking out seconds, hours, days, years, eternity. Work is a toad crushing you. A great poet? The comparison with Hopkins is instructive. Hopkins makes us feel the beauty of nature, he makes us confront God’s apparent absence in the dark, or “terrible”, sonnets. It is committed writing in the best sense The language heaves into dense music, sometimes too dense, but you always feel engaged by his best poetry. Larkin is dubious about the whole life show. The world is seen from behind glass, whiskey to hand, or in empty churches, or from windswept plains, sediment, frost or fog lapping at footfall. Hopkins loves his poplar trees; his kingfishers catch fire; weeds shoot long and lovely and lush. Grief and joy bring the great moments of insight and expression, and thus the memorability. The case of Larkin does raise a fundamental concern regarding art and its place in society. When the upward trudge of aesthetic idealism meets the downward avalanche of political and social reality, what is the aesthetic and political fallout. With Larkin it appears to be a stoic acceptance of status quo nihilism—waiting for the doctor, then oblivion. With Celan, one cannot get further than the Holocaust. For others, a crow is an image of violence, or tulips are weighted with lead. No longer are these images of natural beauty. No doubt, for those who have just seen a contemporary exhibition at Gagosian or been reading about the latest horrors in Darfur, Larkin could seem hopelessly out of touch, and self-pitying to boot. That is not a sensible way of looking at culture. Looking for political correctness in art always leads to disappointment. Larkin seems to fill the expectations required by late-twentieth century English aesthetics, but I wonder. When younger, I thought Stravinsky the greatest composer of the century I was born into. Now it is Rachmaninov and Prokofiev who give me more pleasure. And I find them no less ‘great’. Robert Lowell seemed the representative poet of his generation when I was at university. Now some of the work reads to me like a bad lithium trip. Does this signify cultural sclerosis on my part? We can’t have a bar of Wagner’s anti-Semitism, but that still leaves the fact of Wagner’s greatness to be confronted. The achievement is so enormous. To use a somewhat dangerous and controversial term of the moment, it shows more than intelligent design. Appeals to the Zeitgeist, a somewhat unreliable indicator of artistic excellence, are last resorts for those who like to give their critiques an apparently incontrovertible seal of approval. In the interim, culture remains dynamic and reputations sink or swim depending on factors having very little to do with intrinsic value. In Hull Larkin found his haven, the world held warily at bay. However, the world cannot be held at bay for long. The general public want their pound of flesh, and they will take it. Hopkins’ divided soul has passed through mercy, and mercilessness, to a Parnassian plateau. Larkin has entered upon his interregnum, where an uncertain reckoning now takes shape. The following is the first part of a two-part poem, ‘Larkin Land', written in 1993. Ideals could still creep through. Can’t give you all the facts. Poems survive the killing night. This England mirrored into life.